Based on conversations during our Open Houses, we learned a lot about how you, our patrons, use the Library. 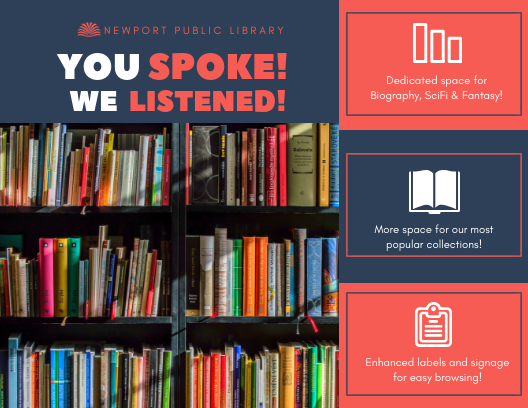 We're bringing a fresh, modern approach to the way we have organized the collection, starting with a move to the classic Dewey Decimal classification. These changes allow us to give you even more of what you want, like more areas to read and work, and better group study space.